Bald Eagle is situated on the south end of Big Sandy Camp, past the gym and lodging facilities. It sits on the waterfront of Big Sandy Lake. 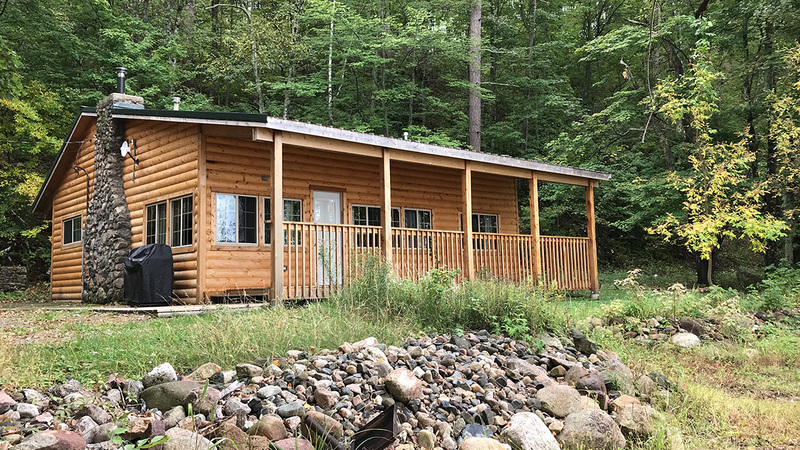 The cabin is equipped with an outdoor fire pit, a full kitchen, living room, bathroom and three bedrooms. This homey cabin has one queen bed, one full bed and three twin beds. Please bring your own food, pillows, towels and bed linens. This retreat cabin was designed with ministry workers in mind. Pastors and ministry workers can come for a quiet study retreat. Full-time ministry workers and their families can use the cabin as a place of respite from the chaotic nature of ministry work. For more information, contact the Big Sandy Camp office at 218-426-3389.